Golf wearables are nothing new. 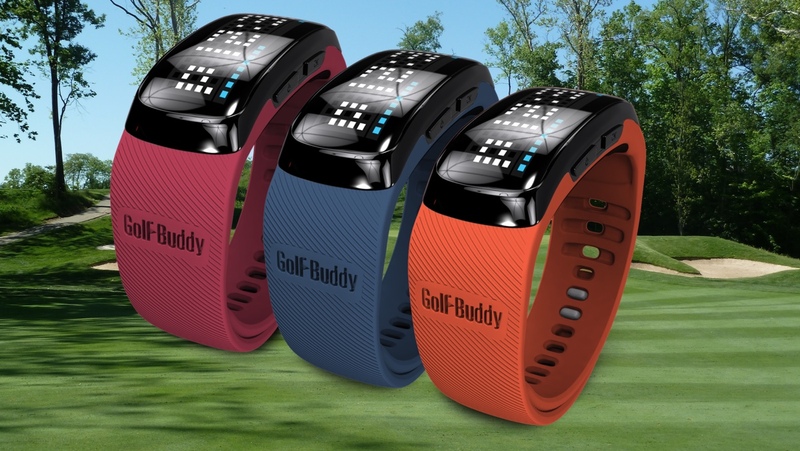 Golfers around the world have been slapping on GPS watches way before the wearable tech revolution even hit first gear so we were surprised to hear that the Golf Buddy BB5 - which goes on sale next month - is the first GPS golf band the world has ever seen. The Golf Buddy BB5 isn't exactly a rival to the information overloaded Garmin Approach S6 or the TomTom Golfer – it simply counts your steps and gives you your distance to the front or back of the green on its LED dot display. However, some golfers don't want to be bogged down with lay-up distances and keeping their score digitally - so the BB5 may well be the answer. At £199 though, it's not cheap. That's the same price as the aforementioned TomTom effort, which packs a lot more tech in, and £60 more than the low-end Garmin Approach S2, which does boast lay-up and dog-leg distances. But, if you're after a wristband rather than a watch-shaped wearable the BB5 is really your only option and it will work on over 37,000 courses – that's more than 500,000 greens – around the world. It's IP65 certified, so should be fine in the rain, and has a 10 hour battery life in GPS mode - plenty for two rounds for even the slowest of players. Golf Buddy has heritage too - it's been knocking out golf watches and hand-held GPS trackers for years. Check out its online store for more info, the BB5 comes in six colours (the straps are interchangeable) and will be available in April.